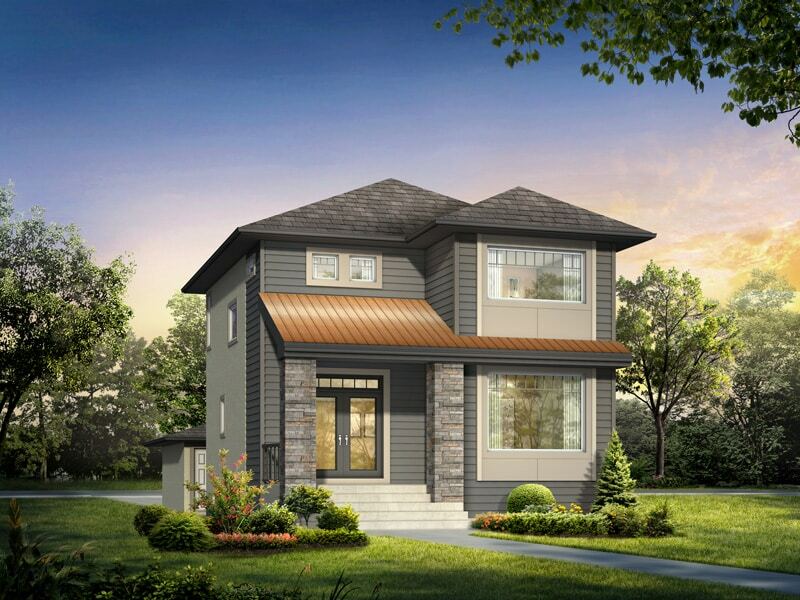 The Faircrest is a 1555-square-foot, two-storey home with three bedrooms and 2.5 baths designed specifically for a laned lot. The main floor’s nine-foot ceilings with open concept layout is perfectly suited for entertaining with its large great room featuring a built-in maple entertainment unit and gas fireplace with tile surround. The executive kitchen has stained maple cabinetry with a double custom built in-pantry, quartz countertops, tiled backsplash, and an enlarged custom island bar. The laminate flooring shines off the several pot lights throughout the house. The master bedroom has a large walk-in closet and a deluxe ensuite with a five-foot enlarged glass-tiled shower. The exterior of the home has large windows, a double-glass door front entrance, and a premium brick and wood package. Log in or sign up to instantly see The Faircrest. Square Footage: 1,555 sq. ft.